I've searched for answers and as many have suggested I restarted services, recycled pools and Workflow Manager, but here is the seemingly unique issue at my end. Although Service Bus is installed according to the Web Platform Installer, the Service Bus AND Service Gateway Services are NOT listed under Services. It's as if they aren't installed. 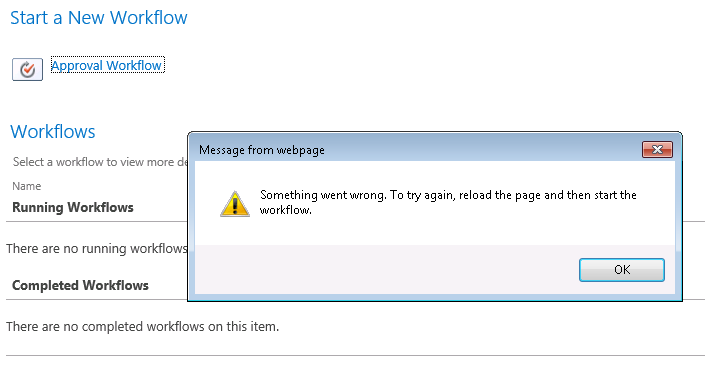 Workflow Server Status - Workflow is Connected Both Workflow Service Application and Workflow Service Application Proxy are "Started". OK I figured it out. Whew! Go to Service Bus Configuration and reconfigure. You will need your SQL Server Instance Name and initial phrase ( password ) from the original configuration. Not the answer you're looking for? Browse other questions tagged sharepoint-enterprise sharepoint-designer workflow workflow-manager or ask your own question.